Yellow straw color. 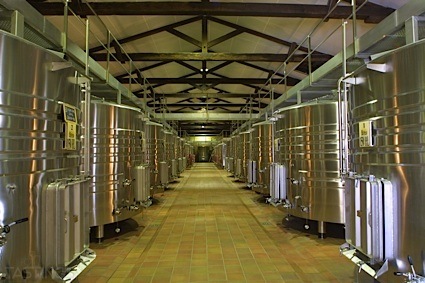 Spicy, herbal aromas and flavors of fresh ginger and nuts with a supple, vibrant, effervescent, off-dry medium body and a tingling, intriguing, medium-length finish evoking touches of honeyed lemon, hint of chili pepper, and spiced apple finish. A deliciously spicy ginger and very drinkable ginger flavored sparkling mead. Bottom Line: A deliciously spicy ginger and very drinkable ginger flavored sparkling mead. 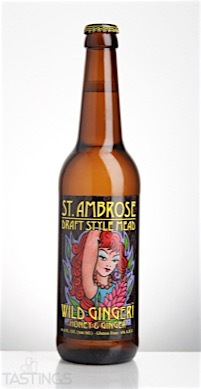 92 • St. Ambrose Wild Ginger Draft Style Mead 6% (USA) $7.00. 93 • St. Ambrose Black Madonna Draft Style Mead 6% (USA) $7.00. 84 • St. Ambrose Razz Draft Style Mead 6% (USA) $7.00. 93 • St. Ambrose XR Cyser Draft Style Mead 6% (USA) $7.00. 87 • St. Ambrose John Lemon Draft Style Mead 6% (USA) $7.00. 93 • St. Ambrose Evil Twins Draft Style Mead 6% (USA) $7.00. 92 • St. Ambrose 2014 Oak Barrel Reserve Mead 12% (USA) $24.00. 91 • St. Ambrose NV Royal Reserve Mead 19% (USA) $23.00. 89 • St. Ambrose Tupelo Ambrosia Mead 10.5% (USA) $14.00. 93 • St. Ambrose Star Thistle Mead 11.5% (USA) $11.00. 81 • St. Ambrose Razzmatazz Mead 12% (USA) $16.00. 91 • St. Ambrose Cherry Amore Mead (USA) $16.00. 87 • St. Ambrose Rosé Ambrosia Mead 12% (USA) $15.00. St. Ambrose Wild Ginger Draft Style Mead rating was calculated by tastings.com to be 92 points out of 100 on 12/14/2016. Please note that MSRP may have changed since the date of our review.